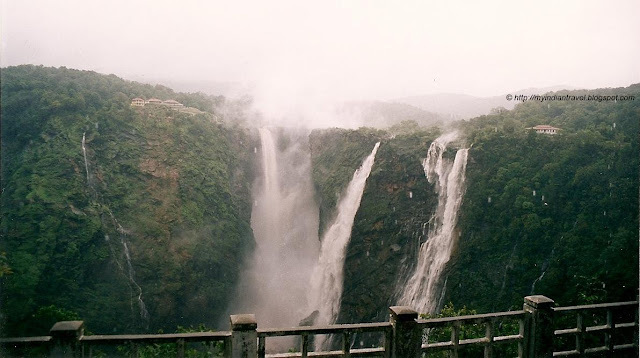 Jog Falls is the magnificent water falls in the Western Ghats just 100 Kms from Shimoga city. This beautiful water falls is formed when Sharavati river plunges from a height of 829 feet in four magnificent cascades namely Raja, Rani, Roarer and Rocket. 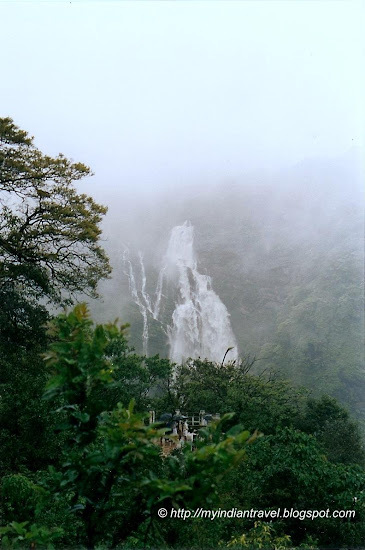 This is the tallest waterfalls in India that is situated in the dense evergreen forests of Western Ghats. The water does not stream down the rocks, instead it thunders down the slope losing contact with the rocks. The lush green surroundings enhance the beauty of the waterfalls. It is also known as Gerusoppaa Falls. The best time to visit the Jog is in winter when the sky is clear of the mist. The place is well connected by rail and road. It is just 100 kms from Shimoga on NH26. Wow - this is extraordinary. Such amazing natural beauty. I once trekked down the falls. It remains one of my favorite trekking experience. Truly Amazing falls. Great pics. Hello, gorgeous waterfalls! Looks like a great place to visit. Happy Monday, enjoy your new week! Must be more powerful during the monsoon. that´s a powerful fall. Love it! Incredible! What a beautiful sight! Extraordinarily awesome, haven't read about it before! I also wonder where Shimoga is, i have to look at the maps. I can't see Niagara nor Iguazu but maybe that one is a little cheaper for me to reach, hehe. 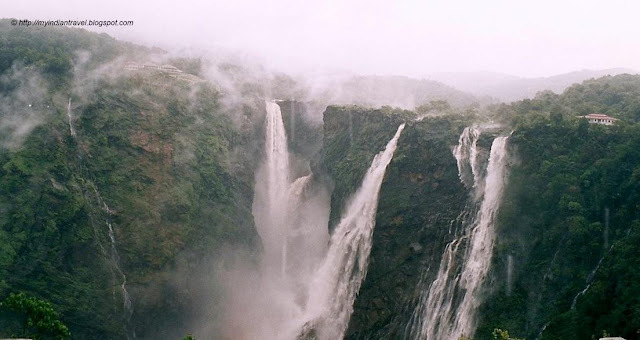 Wow.. for long time i have been planning to go to Jog falls.. beautiful pictures!!! Gosh, these falls are gorgeous. You took great shots of them. Very Beautiful . I want to go there a day . This is highest fall in India or Doodhsagar ?